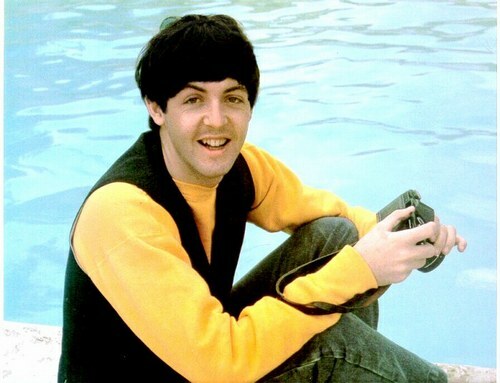 Paul McCartney, born on June 18th. 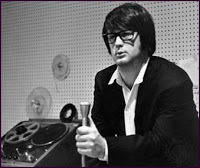 Brian Wilson, born on June 20th. 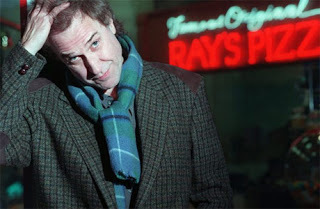 Ray Davies, born on June 21st. 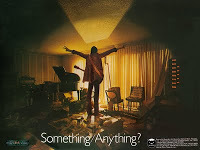 Todd Rundgren, born on June 22nd. It feels like I've been listening to nothing but these four men, in one form or another, for my whole life, and I can't say I'd have it any other way. This Weekend Mix is not your average collection of tunes celebrating these four musical heroes of mine. Like the first collection, I've included some odd ball choices to keep you on your toes, including a few covers, some alternate takes, live versions and a production or three by Brian and Todd. You may recognize the melody of the Sharon Marie tune as a blueprint for the Beach Boys 1969 hit "Darlin'." Leigh "Little Queenie" Harris, a New Orleans legend delivers one of my very favorite covers. Period. It also happens to be one of my very favorite Ray Davies tunes. Jamie Hoover of the great power pop band The Spongetones reinvents Todd's mini-classic "Izzat Love" from 1974's "Todd" LP. Paul's "Summer Of '59" is an outtake from "Chaos & Creation In The Backyard." I admit, it's not a great song, but there is something about it I like and thought it would be a nice inclusion for those who may not have it. The Hale & The Hushabyes track is simply breathtaking. Thanks so much, Sal. Lots of strangers here that I'm looking forward to meeting. Looking forward to this mix! Four of my favorites, esp Todd & Paul. I never realized they had such close birthdays. June equals musical genius I guess. Enjoyed this one A LOT! Keep 'em coming. Surfs Up is absolutely breathtaking. I saw that on the Brian Wilson Tribute TV special and just about cried. Always liked the Clapton/Macca track - there's,er, something about it - and this is a very tasty compilation all round. Many thanks for upping it! Love the idea of this mix... looking forward to hearing your segues! Thanks Sal! Enjoyed a lot. The Beach Boys vocals only of "In My Room" is just perfect, "Two Of Us" is such a charmer it may make my funeral mix (song playlist of tunes I love you can play to celebrate me and smile when I've floated away to Slumberland) and quite a few newbies. I do wish there was a version of Paul covering "Something" via uke that didn't seque into Clapton. Paul's take is so perfect and sweet and fresh that I was grinning ear to ear again and long for it to go all the way through. (Concert For George: Billy Preston just tore it up and I love the closer "I'll see You In My Dreams.") Thanks for the playlist. Now I'm gonna dive back into your 2011 mix and then the Paul McCartney massive boxed set. I'm sure I'll realize I love Paul even more than I thought!